The importance of a web presence has grown dramatically over the past few years. Some websites that have been functioning for some time make it easy to gage their marketing success. What works, what doesn’t, and where do they need to be in the future. By having and maintaining a website a restaurant can reach new customers and will keep present customers returning. But just having a website does not always equate success, if that website does not have crucial elements. site make sure to have a clear vision of the information you wish to present. Creative use of color and design may draw your customer in, but in order to keep them on the site, information needs to be easily accessible. Be sure to have your brand or logo predominately displayed to ensure that the customers know that he is in the right place. Your home page should be attractive but not distractive. Site that are too busy tend to confuse the customer. Your customer should be engaged but not unable to access the information they are looking for. If a customer is searching out your restaurant for the first time, they are more than likely wanting to view your menu. Display a menu link in the navigation bar where a viewer’s eyes naturally focuses. Also add a call out on your page for an additional link to your menu. The customer who is returning to your site is most probably looking for additional information. Most importantly, they are probably looking to make a reservation or if you have it, to place an online order. More about that later. Reservation access should also be on your navigation bar and as a call out. Another great location to consider is on your menu page. This ensures that once they have viewed your menu, the customer can easily make their choices and then ultimately bring them to your door! General contact information should also be included on the website. This includes information that covers multiple functions for your restaurant. Incorporate your address. Customers will quickly be able to insert the address into an engine such as Google Maps and find you. You can also offer a link to Google maps on your homepage to save them the extra step. Remember it is all about convenience! A phone number should also be incorporated so that the customer may call with any additional questions they may have. Provide an email address to make their life a bit easier and easier on yourself. Emails can eliminate many phone calls that can require attention from your staff. And of course, hours of operation are a necessary inclusion. Having your hours of operation predominantly displayed adds to the ease of your customer’s planning. In addition it eliminates customer disappoint when a customer arrives at your restaurant to find that you are not open. 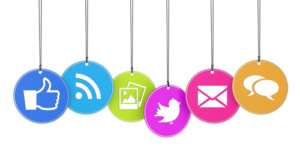 In order for your customers to follow you on social channels, be sure to display social media buttons. Facebook, Twitter and Instagram buttons are a must. Customers use these buttons to get restaurant reviews, share their experiences, and stay up to date on menu changes and events. Social media is an indispensable tool to grow your business. Now a bit about online ordering. Online ordering is becoming the tool of choice for restaurants. Making use of online ordering can of course multiply the number of pickup or delivery orders by adding a convenience that customers are demanding. Along with that benefit, online ordering can increase the order size and encourage return customers. There are many online services and programs to choose from. Here at orders2me.com can introduce you to our ordering system which seamlessly integrates with your present POS system. Another fact to keep in mind is that more people now conduct searches on mobile devices. Most of your customers will be inquiring about your establishment while they are away from a laptop or home computer. So when designing your website be sure that it smoothly fits within the parameters of a mobile device. 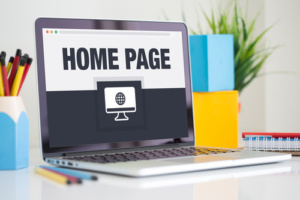 Your homepage should look just as good and be just as efficient as it is on a laptop. And finally another key component to your website is a fast load time. Appealing photographs and custom design elements can make your website attractive to the eye, but can really bog down your website if not properly optimized. Make sure that your web developer accounts for large files so that your homepage will easily load and be readable by search engines. Failure to do so will account for a high bounce rate and ultimately business lost. A website is an unparalleled means to acquire new customers and keep your existing customers returning. With a bit of careful thought and planning a website will quickly become your most successful marketing tool. Your website is the most essential element to growing your restaurant, now and most certainly in the future.